The Green Party of the United States has endorsed the Women’s March on the Pentagon to be held on October 20-21, 2018, on the 51st anniversary of the 1967 March on the Pentagon. Prominent Green Party activists are among the organizers, including Cheri Honkala, with the Poor People’s Economic Human Rights Campaign. Honkala was the Green Party’s 2012 vice presidential candidate. “Poor Women suffer daily at the hands of war. No longer can we stand by, we must raise our voices together for the sake of the planet and generations to come,” said Honkala. The march has been called in response to the ongoing military aggression of the United States around the world and bipartisan increases in military funding. “The march will highlight the disproportionate effects of war on women and children, who suffer not only from the direct effects of war, but also from famine and epidemics related to conflict,” said Joy Davis, Co-Chair of the Green Party National Women’s Caucus, one of the sponsors of the endorsement proposal. “Women and children also make up the majority of the world’s refugees, many of whom have been displaced by conflict. The money spent on military budgets takes money away from essential social programs, and the environmental effects of war create serious health issues,” said Davis. 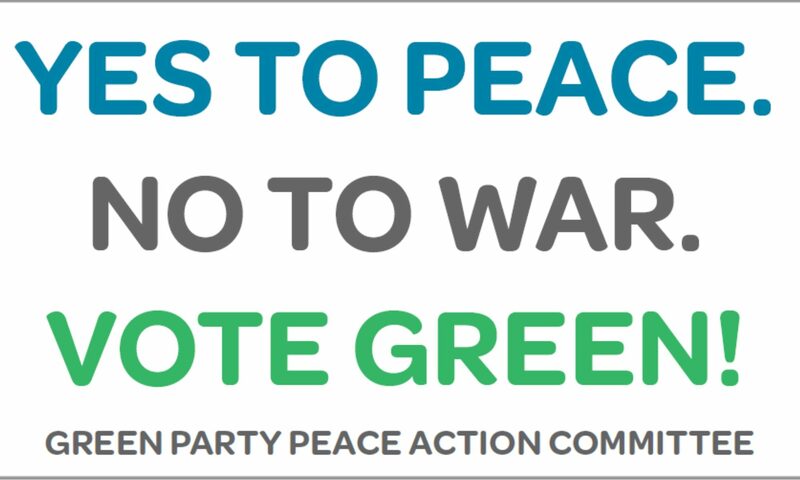 The Green Party supports the phase out of foreign military bases, the prohibition of arms sales to foreign nations, and the abolition of nuclear weapons. “Women will continue to be victimized by war as long as the Military Industrial Complex continues to exist,” said Deanna Dee Taylor, Co-Chair of the Green Party Peace Action Committee, one of the sponsors of the endorsement proposal. “Violence against women is rampant in all facets of war, including widespread prostitution, trafficking and sexual assault of women. Eliminating the funding of perpetual war will eliminate the perpetuation of violence against women in the throes of armed conflicts,” said Taylor.